Keep babys skin and hair soft, smooth and skeaky clean with this gentle daily care wash and sShampoo. It uses natural oats to cleanse your babies skin and hair as it moisturises. It is gentle enough to be used every day. Aveeno daily care wash and Shampoo has been developed to keep your babys hair and skin cleansed and moisturised. It uses natural oats and is gentle enough to use every day to keep babys hair and skin soft, smooth and squeaky clean. 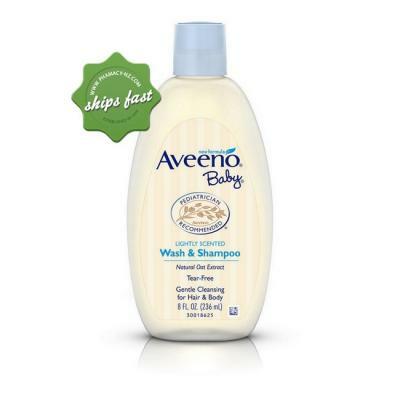 "What are the benefits of using Aveeno Baby?" Add to your cart now.